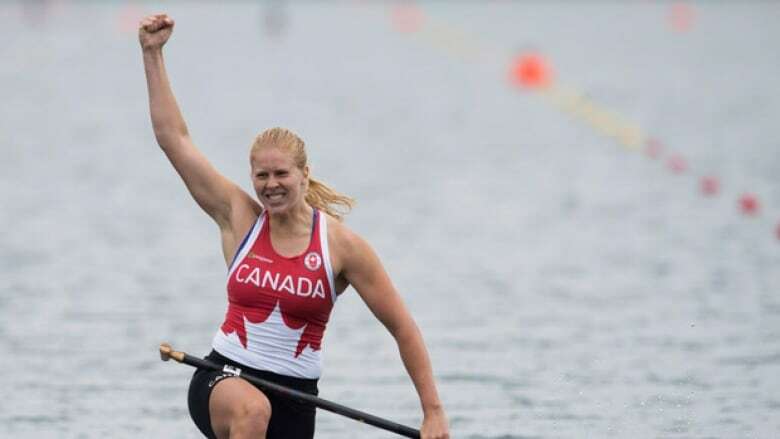 Canadian canoeist Laurence Vincent-Lapointe won the gold medal in women's single C1-200 metres at the Pan Am Games in Toronto on Tuesday. Vincent-Lapointe, from Trois-Rivieres, Que., dominated the women's C-1 200 in the event's Pan Am Games debut, roaring to gold by a margin of more than two seconds. ​But women's canoe isn't on the program for the 2016 Olympics, and Vincent-Lapointe hasn't decided whether she'll compete until 2020, when it's expected to be added. The 23-year-old also plans on attending medical school at some point. ​"I really want to go to Olympics, that's for sure, but I don't know," she said. "Five years is a long time, let's see what happens then. "In the past I've been a lot disappointed, because it's always being first but then never having the chance to compete in the Olympics, which is the place for the people who do the best in their countries," she said. "I would be really disappointed if there were not Olympics, but still my goal is to improve and do the best I can and show the way." Following Vincent-Lapointe's golden performance, Michelle Russell earned a silver medal in the K1-200 event for the hosts. In the first race of the day, Canadians Hannah Vaughan and Emilie Fournel were fourth in the women's K-2 500, missing the podium by just five-hundredths of a second.